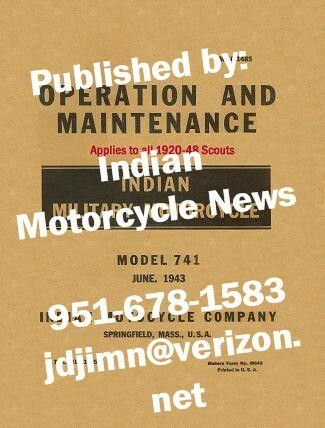 New copy, all 1920-48, Indian 500cc, 600cc & 750cc Scout, Overhaul Manual, 138 pages, 119 excellent photos & illustrations clear as the original photos, mint condition. This was the first & only, V- twin Scout Overhaul Manual the Indian factory ever produced..! !